Ronald Reagan's former adviser Suzanne Massie said that the level of Russophobia in the United States is high and should be countered. WASHINGTON (Sputnik) — The relations between the United States and Russia are today at a lower level than during the Cold War because of the modern level of mass communication, Russia expert and former unofficial advisor to Ronald Reagan Suzanne Massie told Sputnik. "I think it may be worse," Massie, famous independent author historian, said commenting on whether the US-Russian relations are worse compared to the former Cold War era. "I think it may be worse because of this mass communication which we did not have before." "Right now with social media and all of this there is so much information floating around," she added. "There's no way for any average person really to check it." Massie also pointed out that the current anti-Russian sentiment in Washington is high, and dangerous and it is essential that it be addressed and countered. "The prevailing Russophobia is often ignorant and exaggerated and misplaced and does no one any good." she stated. "I personally am very saddened by it because President Ronald Reagan and President Gorbachev went a very long way to establishing trust between our nations. US-Russian relations soured following disagreements over the crisis in Ukraine. The United States imposed sanctions against Russia after Crimea held a referendum in 2014 in which a vast majority of its residents decided to reunify with Russia. Washington and its allies have accused Moscow of meddling in Ukraine's internal affairs, while the Russian authorities have repeatedly denied the allegations. "Based on my life long study, reading and personal knowledge of our two peoples. I always felt that you need us and we need you, for different reasons," Massie said. "Not only would it be better for us for sure, but it would be very helpful to the world. Basically, today in Washington, Russia has been used for other political purposes, as if it were still the Soviet Union. The writer stressed that relations have to be improved as fast as possible, but noted that she is not optimistic that it will be done in the near future. "They have to improve as fast as possible. We need you, you need us. We should be seeing it," she said, adding that it will unlikely happen soon. "Right now, not only myself but a great many Americans feel gloomy about the present atmosphere. The United States doesn't yet even have a complete new administration,many important government positions haven't yet been filled." On April 12, Russian Foreign Minister Sergey Lavrov announced that he had agreed with US Secretary of State Rex Tillersonto allocate special representatives from the foreign affairs agencies of the two countries, who would analyze the differences between Moscow and Washington. He suggested that the group would elaborate policy proposals for the leaders of both countries to settle the problems that accumulated under the previous US administration. 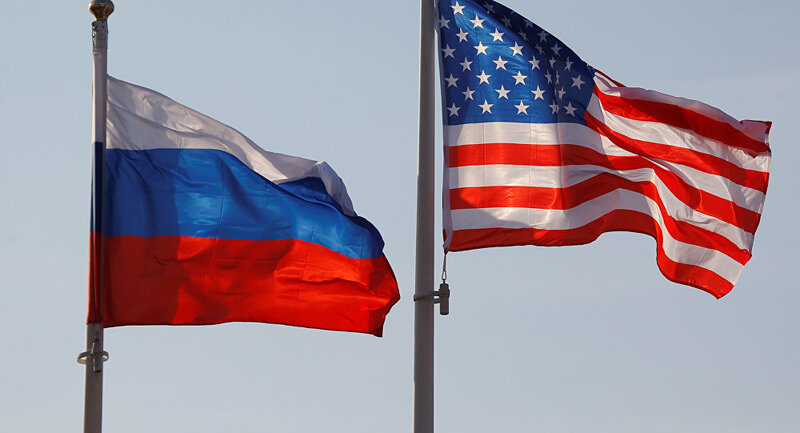 Deputy Foreign Minister Sergei Ryabkov said that Russia hopes that the Russian-US group on normalization of bilateral relations will work without employing "unnecessary rhetoric" and will rather focus on specific tasks. Massie acted as an unofficial advisor to President Reagan and as a backchannel to the Soviet Union from 1984-1988. During her 21 long meetings with the president, she shared with him her deep knowledge of Russian culture and people, helped Reagan prepare for the meetings with Mikhail Gorbachev, and contributed to the end of the Cold War.